In excellent physical condition, and without any weight problems, the new WBO super welterweight world champion Jaime Munguía of Mexico closed the strongest part of his preparation in Los Angeles, under the supervision of experienced coach, Robert Alcázar. Munguía (32-0, 26 KO’s) will be making the fourth defense of his title against his official challenger, Dennis “Hurricane” Hogan (28-1-1, 7 KOs) on Saturday April the 13th, at the Arena Monterrey, in a co-promotion of Zanfer and Golden Boy that will be transmitted by DAZN and Azteca 7. The world champion, originally from Tijuana, worked intensely during twelve rounds of sparring, and showed his quality, aggressiveness and characteristic condition, but this time, he looked faster and more mobile. 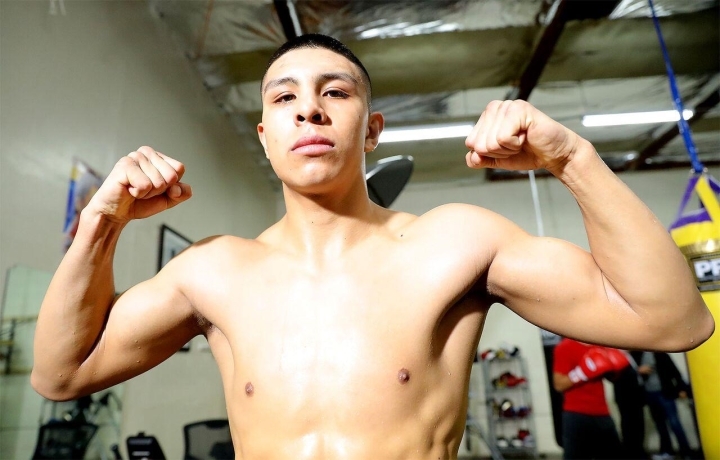 Ten days before their fight against Hogan, the Munguia team is pleased with the preparation, and how the physicist of the 22-year-old world champion assimilated and reacted to the workloads, since his performance is full and the recovery factor impresses. “We are ready. I feel very fast, very strong and very motivated to defend my championship in Monterrey. We are going to give a great fight and give everything so that the title stays in Mexico,” said Munguía. While his career promoter, Fernando Beltrán, CEO of Promociones Zanfer, said he was very satisfied with the great camp that Munguía did in California. “I saw him last Monday and Jaime continues to impress me with his dedication and discipline in his training, combined with his talent, we do not doubt that at the Arena Monterrey he will make another great demonstration of his unlimited potential,” said Beltrán. The champion will be fulfilling some promotional commitments and will travel to Monterrey next Monday. The rest of his preparation will be focused on the ease and maintenance of his condition and weight. The WBO designated Mexico’s Miguel Canul as the referee. The judges will be Americans Aaron Young, Ivette Roldan and Joseph Levin, and Frank J. Gentile will act as supervisor. Bellew: No Chance I’ll Outbox Usyk, I Must KO Him – And I Will!